Do You Want to Conquer your Fear of Public Speaking? 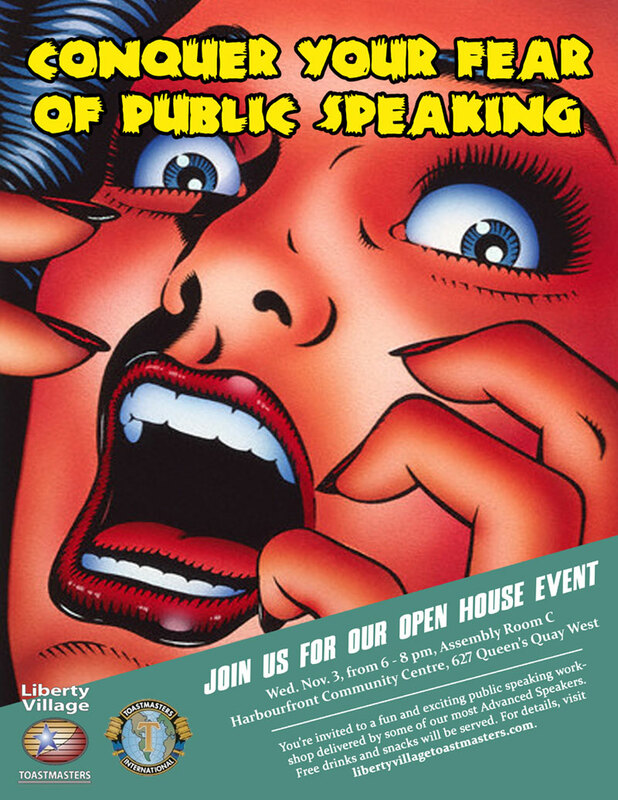 You are invited to a fun and exciting public speaking workshop delivered by some of our most Advanced Speakers! Join us for an open house event Wednesday, November 3rd, 6-8 pm in Assembly Room C, Harbourfront Community Centre, 627 Queen’s Quay West. Free drinks and snacks provided! We look forward to having you as our guests! Be sure to bring a friend also!